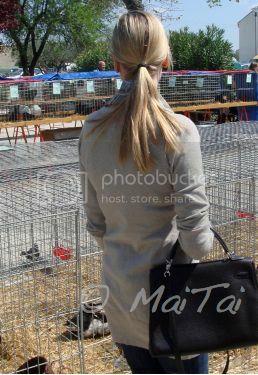 A few days ago, we went en famille to a country fair, showing DS some of France's finest varieties of farm animals. 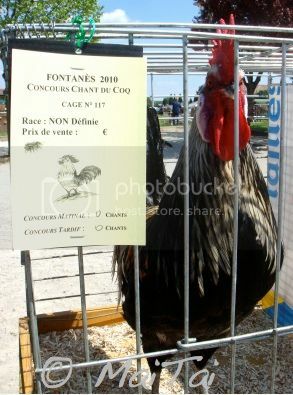 The highlight of the show was a 'concours chant du coq' (rooster crowing competition). Of course we missed the early morning round, but every rooster's result was pinned to their cage. this, slightly less spectacular bird, was my personal favorite, he had a total 'singing' score of zero. Definitely my type of rooster! Other than that, there was a beauty competition, which Ms Fluff won single handedly, and various showcases of award winning geese, rabbits and ducks. I spiced up jeans and a cardie with 'Aux Pays des Epices' in a basic bias fold, Lena necklace and 32 Kelly in Ebene. Oh, this little competition looked like so much fun, and only in France. I'm with you, though. I'd prefer the loser with the zero score too. When we were in Tuscany once, we were living right next door to a rooster who definitely had his internal clock screwed up, as he insisted on showing off pretty much all night long. After two days of that, I really wanted to make him into a stew! You and Miss Fluffy both looked lovely, MaiTai. Many thanks for sharing the country fair. I've enjoyed it!! 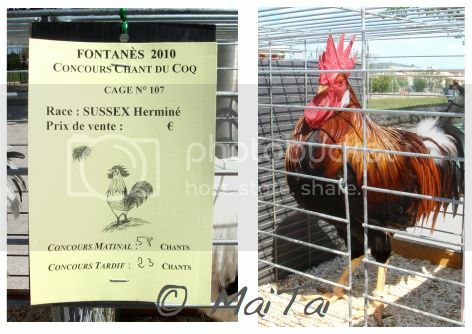 I like so much the rooster who comes from a "non définie" race, gets a zero in a crowing competition, and stands on his cage with a distant air of dignity. As always, you are great and you look great. I do love what you're wearing on the photos, MaiTai - and the neutrals are in beautiful contrast to the roosters' plumage! Race: Non définie. That one definitely made me laugh. Even at a country fair you look perfect and lovely. You always make me want to put more effort into my outfits. For this I thank you. Awww the winning Cockerel is magnificent but like you I'd prefer the loser for a neighbour LOL!! Miss Fluffy is soo sweet! Love your outfit MT and your lovely Kelly - elegant as always. you look so elegant Maitai. I love this post! I'm still smiling. Delightfully amusing. Both coq's are adorable, but I now have and overwhelming desire to make coq au vin! You are radiant and inspirational as always. This has brought back some lovely memories, MaiTai! When our children were younger we took them to a similar country fair near Bayeux in Normandy, on a family holiday. They were thrilled to see little chicks and wanted to bring them home! Glad you and the family had such a good day! Country fairs - another sign that spring has sprung. Thanks for sharing pics from your outing. And as always, you look great. Many thanks also for your sweet compliments, and with the various references to chicken stew, I guess I wore the approriate scarf to the event, LOL. Keekerekee. Great fun to read about this chant competition. ITA with Cecilia. The zero bird has this certain dignity only clever birds have and looks so much better than the cockerel gorilla. Thank you Maitai, you are my inspiration. 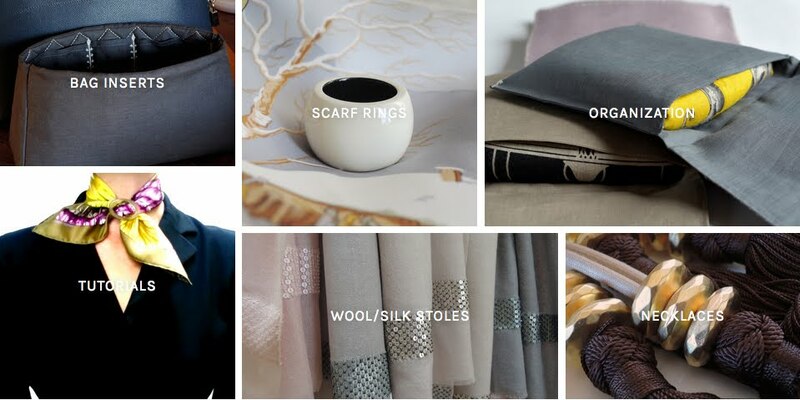 I use your blog as my first aid how to develop my wardrobe in style. I've tried to wear my scarf with basic bias fold, but never be succesful. What is your trick to stop the scarf from sliding around when you wear it with the basic bias fold?